Targeting the right dealership to buy your next new or used car from can be as important as deciding which make and model you will end up driving home. There are hundreds of car dealerships in upstate New York, which makes the decision that much more difficult. Should you go where the best deals are? Where your neighbor bought his car? Where an online ad directs you? The answer to all of these questions is not definitive because, at the end of the day, you are the only person who can decide which of the many car dealerships Albany, NY offers is the right one for you. Here at DePaula Chevrolet, we believe that when it comes time for Albany residents to find a reputable dealership, there is only one clear choice. We aren’t saying that simply because we have a vested interested in the success of our dealership, but because we have a vested interest in you. The residents of this community and its surrounding towns are what make this area so unique. With so many exceptional people who call Albany home, it is no wonder why it is one of the best communities in the entire state of New York. DePaula Chevrolet believes in the community that we have called home for the past several decades, just as strongly as we believe in providing local residents a one-of-a-kind car buying experience. The team at DePaula Chevrolet is made up of people just like you, who are genuinely interested in helping consumers make smarter buying decisions. The first step to making a smart car buying decision involves finding out what matters most to you, as a car shopper. Let’s take a quick look at some common areas of importance, and see how DePaula Chevrolet is helping fulfill each and every one of those needs. Transparency: The team at DePaula Chevrolet is not interested in making a quick buck via shady deals. The sales team is trained to meet the needs of buyers, in a way that is straightforward and transparent. The price that is listed on the many new and used cars we have in stock is the price you can expect to pay for the vehicle. Every window sticker clearly outlines where every one of your pennies is going, from amenity upgrades, to performance specifications. Other dealerships add confusing line items that essentially pad their pockets, while needlessly confusing shoppers. But not DePaula Chevrolet, where up front pricing through transparency is our goal. Customer Focused Approach: How often have you been to a car dealership, only to feel belittled and demeaned by the salesman you were working with? Unfortunately, the car buying industry is littered with unsavory people who aren’t always easy to spot. To avoid these people and their sales tactics altogether, come down to DePaula Chevrolet. Our family run dealership has always put customers first, no matter what. Rather than attempt to mold your car purchase around our needs, we focus on what is important to you as a driver. Our award winning team will work with any budget, and will find exceptional options that you are able to choose from. Don’t ever settle for a car that you aren’t sure you want, come to DePaula Chevrolet and work with a team of people who actually listen to your concerns, needs, and desires. When it comes to customer service, DePaula Chevrolet is a breath of fresh air in an otherwise polluted marketplace. Customer Loyalty Program: Too many car dealers take for granted the customers that come through their doors, and don’t treat them with the respect their loyalty deserves. At DePaula Chevrolet, customers are able to join our exclusive VIP Program that rewards loyalty and celebrates commitment to the dealership Albany residents trust the most. With offers that no one else has access to, exclusive discounts, and cumulative rewards that add up over the years, DePaula Chevrolet is committed to buyers who are most committed to us. 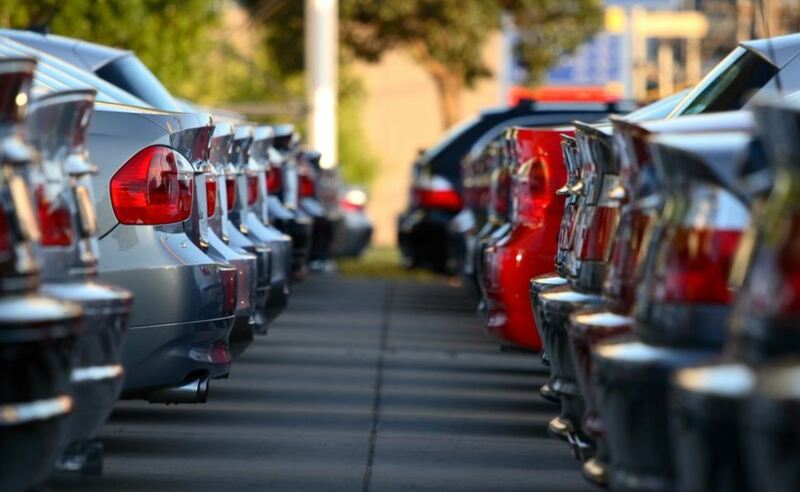 Versatile Inventory: There is nothing worse than finding a dealership you feel comfortable with, and realizing that their inventory is sorely lacking. DePaula Chevrolet offers a vast inventory of both new and used vehicles, ranging in price and amenities. Whether you are looking for a brand new Chevy Cruze, a Certified Pre-Owned Chevrolet Silverado, or a used vehicle from another manufacturer, chances are you will find it at DePaula Chevrolet. We are so committed to fulfilling your needs, that our team will go to great lengths to find you the car of your dreams. If you don’t see it on our lot, or on our website, please give us a call. DePaula Chevrolet prides itself on our commitment to customer satisfaction, and we will work hard until we find the car you want, at a price that works. Skip the other dealerships in Albany, and choose the location that is best able to meet (and exceed) all of your new and used vehicle needs. Reputable: When other dealerships make claims of reputability, it doesn’t mean the same thing that it does with DePaula Chevrolet. Car dealers can say what they want about their own credibility, but when we say that DePaula Chevrolet is the very best in Albany, we aren’t just full of hot air. Named the GM Dealer of the Year, five years in a row, our location is also the seven-time recipient of the General Motors Standards of Excellence Award, the seven-time recipient of the General Motors Mark of Excellence Award, proving that DePaula Chevrolet is more than able to back up words with real action. Aside from the outstanding accolades from General Motors, our dealership also took home the Chevrolet Genuine Leader Award six times, and was voted the #1 Chevrolet Certified Pre-Owned Dealer in the entire Northeast. To say that DePaula Chevrolet is reputable is an understatement. No other dealership in Albany, New York, or the rest of the northeast can deliver the premium level of service that DePaula has been able to consistently provide since we first opened our doors. If you are searching for a reputable, customer-focused Chevy dealership in the Albany area, look no further than DePaula Chevrolet. Save yourself from the hours it takes to search through pages of Google results, and come down to DePaula Chevrolet. Meet the outstanding team that has made our dealership what it is, and explore the large in-stock inventory of new and used cars, trucks, and SUVs. Whether you are ready to buy today, or are simply exploring your options for a later purchase date, come in to DePaula Chevrolet and introduce yourself to our award winning team. We are open Monday through Saturday, and are kid-friendly. Our state of the art service center has great deals going on now, and every time you bring your vehicle in for maintenance, we will wash it free of charge! Come down to DePaula Chevrolet in Albany, NY, and see for yourself what an exceptional car dealership looks like. No games, no gimmicks, no kidding. No other car dealer in the northeast delivers the level of service available at DePaula Chevrolet.